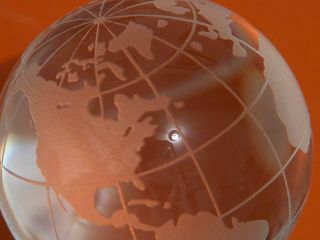 The US is no longer the top nation for technological innovation, a new report by the World Economic Forum (WEF) states. Ranked according to the way countries use technology to maximise development and increase competitiveness, the US now comes in at seventh place. Denmark, Sweden and Singapore are the top three technology nations, according to the WEF. Its Networked Readiness Index ranks 122 countries worldwide on their technological progress. Denmark is the world leader in technological innovation and application - up from the third place - with Nordic neighbours Sweden, Finland and Norway claiming second, fourth and tenth place respectively. The UK grabbed ninth position in the rankings. "Denmark, in particular, has benefited from a very effective government e-leadership, reflected in early liberalisation of the telecommunications sector, a first-rate regulatory environment and large availability of e-government services," Irene Mia, senior economist at World Economic Forum, said in a statement . The report said the deteriorating political and regulatory environment in the US helped it lose its top spot in the rankings. Despite losing the technology crown, the US still has a strong focus on innovation, the report said. Countries in Asia and the Pacific continued to progress, but China and India both slipped down the list. India was four positions down from last year to 44th place, suffering from weak infrastructure and a very low level of individual usage of personal computers and the internet. China was knocked down nine positions to 59th place, with information technology uptake in Chinese firms lagging. The report put Chad, Burundi, Angola, Ethiopia and Bangladesh at the bottom of the list.